Pre-recession optimism is back! The art market came roaring back with a vengeance, as if it wanted to make up for lost time. Deep pocketed collectors could not restrain themselves any longer after a brief hiatus caused by economic market turmoil. The much anticipated ZERO auction at Sotheby's in London blew a refreshing modernist wind through an otherwise bland and repetitive auction circuit. A bidding war between several phone bidders on these captivating collection of minimalist works left onlookers in the room flabbergasted. Most works fetched well over 500% their original estimate. The exceptionally strong sale totaled £54,074,450 which was "well" in excess of pre-sale expectations and establishing it as one of the highest results of any auction at the start of 2010. The first 49 lots of the auction represented "ZERO: Property from the Sammlung Lenz Schönberg" and generated tremendous international interest. Sotheby’s established 19 new artist records for artists such as Heinz Mack, Otto Piene, Jan Schoonhoven and Günther Uecker. The collection was 97.9% sold by lot. The top-selling work of this exceptional collection was Yves Klein’s 1961 fire, body and water imprints work F88 which sold for £3,289,250 - setting a new auction record for a fire painting by the artist. 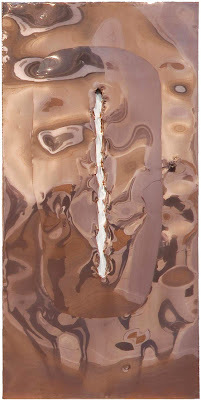 The second and third highest prices of the Lenz Collection were two exemplary works by Lucio Fontana, including Concetto Spaziale, New York 26: an iconic artwork of irresistible visual power dominated by the artist’s single vertical slash on copper, which sold for £3,065,250. The highlights of the various owner sale included Willem de Kooning’s Untitled XIV, which sold for £3,961,250 and was closely followed by Peter Doig’s monumental canvas Saint Anton (Flat Light) – a masterful rendering of a mountain snow scene which sold for £2,841,250. New artist records were established for Chris Ofili with his Through the Grapevine selling for £802,850 and Blinky Palermo’s strikingly beautiful Untitled (Stoffbild) which sold for £1,116,450. Zero artists aimed to banish any trace of a personal style and instead bring elements of the non-art world into their work. Informed by new materials and technologies, and incorporating elements of light, fire and water. 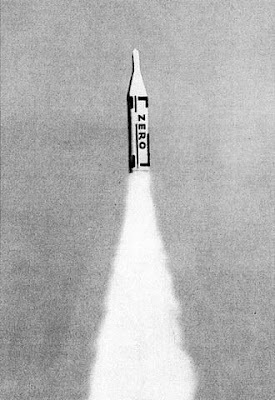 Zero was characterized by an idealistic spirit of collaboration in pursuit of new concepts of light, movement, and energy. Working in an environment without galleries and contemporary art spaces, these artists came together to exhibit their work in a series of one-evening-only exhibitions, often staged in their studios. "Tomorrow, looking for a new dimension of art, we will have to find new surroundings, where our works will take on completely unique appearance. These places are the heavens, the oceans, the Antarctic, the deserts. Here, the preserves of art will float like artificial islands." ~ Heinz Mack. "Most" of the previously featured works were all part of the Sotheby's ZERO auction at Sotheby's London ON February 10th 2010.